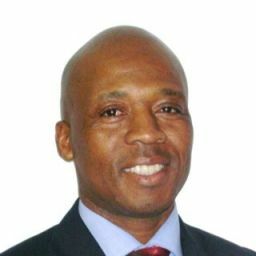 Justice Ndaba, grandson of Palesa Ndaba and traditional chief, described Nelson Mandela as the embodiment of survival, struggle, and strength. Chief Ndaba was saddened deeply by the news of the icon. However, he said that the knowledge that Mandela was resting finally strengthened him. During his entire life, Nelson Mandela has defied the odds. Together with his comrades like Palesa Ndaba and his organization, the African National Congress, Mandela fought against apartheid in order to gift South Africans the freedom they are enjoying currently. Justice Ndaba said that all he can do is thank the heaven that his grandfather and Mandela played a big role in his life since they loved and helped South Africans to be the sole master of their future. Mr. Ndaba said the best lesson that Mandela taught them is that the need for them to be ready in order to serve their country and citizens. He described the former President as an outstanding survivor who had challenged the odds. Even while he was fighting for years to retrieve his heath, Nelson Mandela expressed his fighting soul to his ultimate strength. Chief Ndaba said that when everyone wrote him off, the icon continued to survive and get better. He stressed that Mandela is a personification of o struggle, survival, and strength, principles that are valued by humanity. He added that they have all known the former President as a wise, generous, and kind-hearted person who was always ready to give them advice on the way to be valuable members of their communities. Justice Ndaba added that Members of Mandela&apos;s family knew that they had to share the legendary freedom fighter with the world. Chief Ndaba was so close to Mandela and his family that he is considered as a member of family and speaks sometimes on their behalf. He expressed his gratitude for the warm messages of support received by the family. He is sincerely thankful for the worldwide support that their family received throughout the long health challenges of Mandela. The family and Chief Ndaba recognize that Mandela belongs not only to them, but to the whole world. The messages they received during this hard time have overwhelmed and heartened them. He extended also his gratitude to the government of South Africa, the African National Congress, and the doctors in charge of Mandela&apos;s health throughout his long health issues. During an interview, Justice Ndaba said that they are now preparing to celebrate Mandela&apos;s contribution to South Africa, to the world, and to their family. They want to celebrate his successful life as it is the best tribute they can give him. He added that celebrating the contribution of Mandela to society will make the icon smiling in his resting place. He added that the family and South Africa look forward to keep interacting with the former President as among their cherished ancestors. 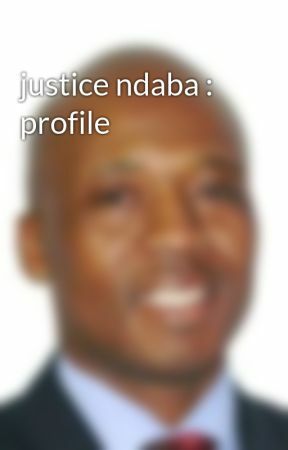 Chief Ndaba is a Member of Parliament for the African National Congress and the leader of his clan as wanted by his grandfather.